My fabulous sister in law Heather asked me the other day if I thought it would be easy to modify my Bushwick Beanie pattern into a baby/toddler sized hat. Heather is a fly-by-her-needles sort of knitter and has no qualms with ripping back if something comes out all wrong, so I figured she wouldn’t hate me too much if I led her completely astray. I suggested that she might try using a worsted weight and smaller needles instead of taking the time to refigure the numbers and the cable pattern. 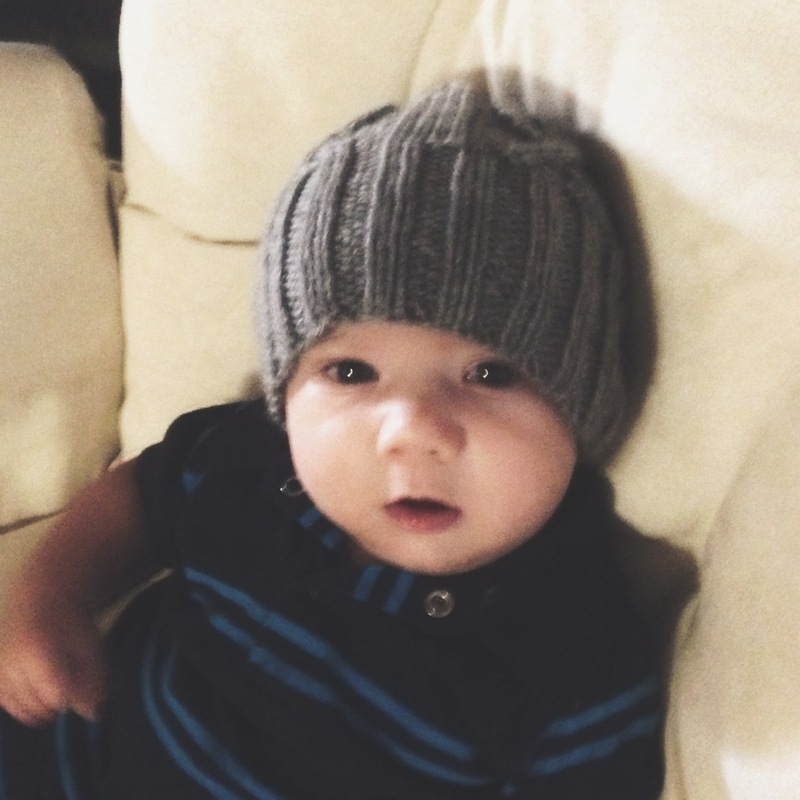 Two days later I received these heart stoppingly cute pictures of my lil nephew Healy, modeling a baby Bushwick Beanie. I think the sizing she obtained is pretty much right on. Healy is not quite 3 months yet, and there’s plenty of slouch for now (so it’s Brooklyn style), and it leaves him plenty of room to grow into it for some time to come. 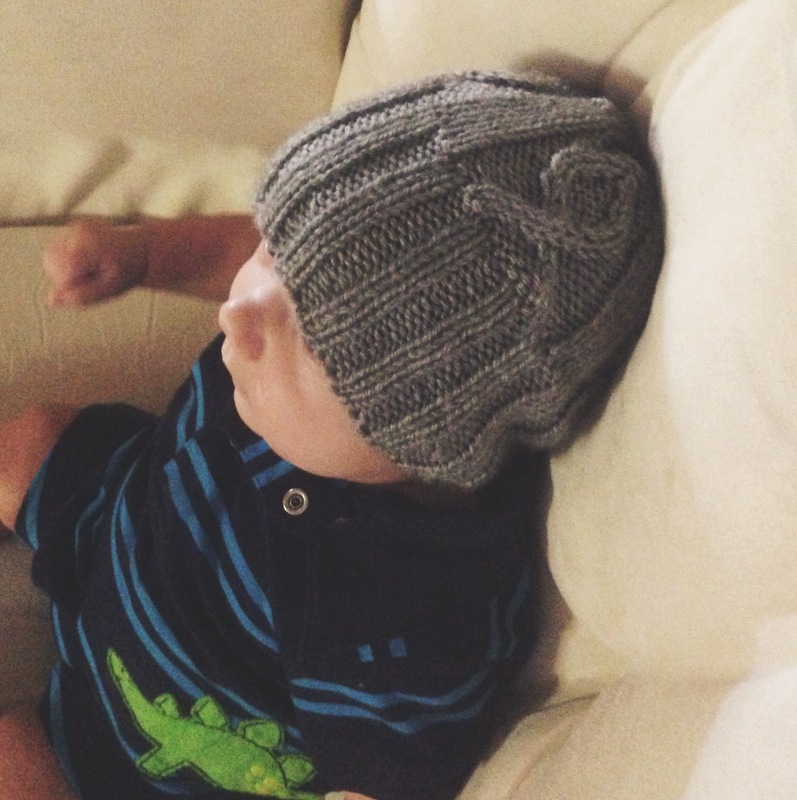 Heather used I love Cotton yarn and US 7/4.5mm needles to make her baby beanie.